Sarah Wooley is a writer for radio, TV, film and theatre. She lives in London. A drama about the making of 'Victim', the first British film to seriously address homosexuality. This programme was part of Gay Britannia, a season across the BBC marking the 50th anniversary of The Sexual Offences Act 1967. The 1961 film, starring matinee idol Dirk Bogarde in the gamble of his career, is often credited with helping to change public attitudes to homosexuality. This fast-moving drama follows the extraordinary mixture of bravery and pragmatism involved in getting this groundbreaking enterprise off the ground, providing a fascinating glimpse of Britain at a tipping point of social change. ​Starring Ed Stoppard as Dirk Bogarde, Jonathan Aris as Basil Dearden, Ben Miles as Michael Relph, Fenella Woolgar as Janet Green and Michael Maloney as the Censor. ​Directed by Abigail le Fleming. 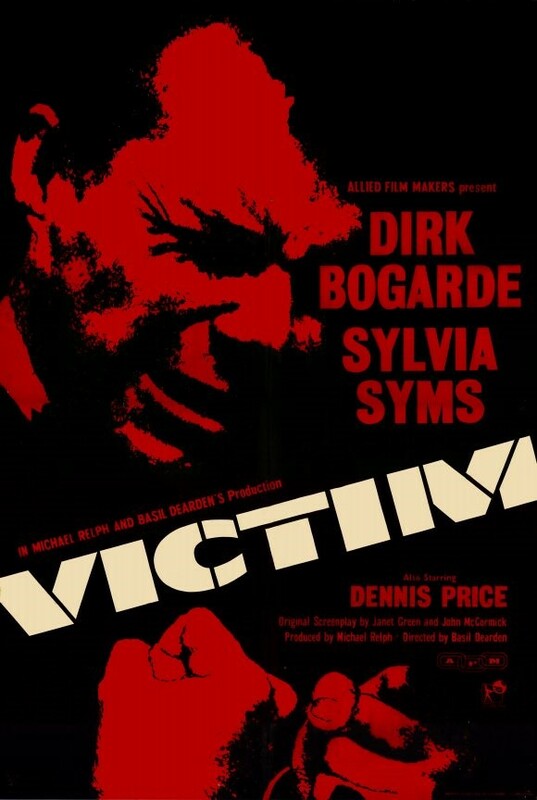 'Exposure would have been disastrous' - ​Ed Stoppard on Dirk Bogarde's risk starring in seminal gay themed hit 'Victim'.